Development of motor skills falls under physical facet of developmental domains of childhood development and are charted as motor milestones for assessing a child’s development. Skills to use the muscles are developed mainly during the early development phase of childhood, but the perfection of each skill is reached only after several months of practice. Thereby growing children develop the capabilities to function effectively and to perform day to day activities independently. The sophisticated movements required to achieve cognitive skills development also need that a child has an optimal development of gross and fine motor movements . Understanding the process of motor development sets realistic expectations of a child’s capabilities and achievements through various growing phases of childhood. Cephalocaudal: Head to trunk; trunk to hands and feet. Gross to fine motor skills. Stable posture and sensory input facilitate controlled and refined movements. Genetic potential is determined by how the parents progressed through their own development. Brain growth and maturation of the central nervous system. 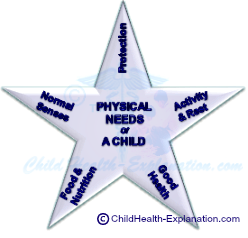 The physical needs for child growth and development. 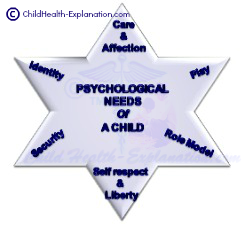 Psychological needs of childhood development. With so many variables affecting the development of motor skills, it is only natural that the timing of accomplishment of each motor milestone varies with each child. However, the sequence in which the motor milestones are achieved always remain the same. There are two areas of motor development, which allow an infant to progress from being helpless and completely dependent baby to a child who has complete independent mobility. Gross motor development involves the large muscles of the body used for locomotion and body posture maintenance. Gross motor development gives children the ability to maintain thier posture, mobility and stability. Children are thus able to use large muscles of the whole body to perform activities such as required for outdoor games on a playground. This is brought about by the following changes. Development of the muscle tone and power. 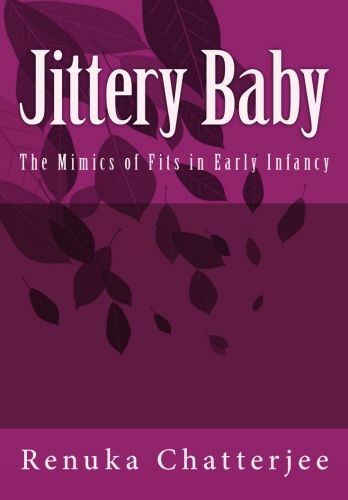 Primitive reflexes of newborns gradually disappear. This gives the child more freedom of movement and capacity to balance. Achieving and maintaining sitting position. A good posture supports the fine motor tasks like writing, drawing and playing musical instruments. Ability to move from one place to other. Approximately at the age of 9 months, children begin to crawl on all 4 limbs, and 10th month onward stand with support. At the age of 12-15 months 90% of the children can walk around independently. The gross motor control is important for major body movements such as walking, maintaining balance, coordination, jumping, and reaching. Optimal vision is crucial to control the movements of the small muscles of hands and fingers. The first step towards fine motor development is noticed at the age of 2-3 months, when a baby begins trying to reach a toy, but can only swipe at it somewhat inaccurately. By the age of 3-4 months eyeball movement are better controlled and thereby hand movements are also gradually get refined. Ability to accomplish activities which require efficient use of hands and fingers (dexterity), like writing, holding a soon/fork/pencil, and dressing. a.) 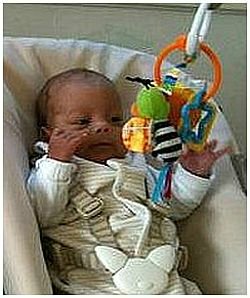 4 month old child reaches a toy with both his hands. b.) 6 month old can transfer a toy from one hand to the other. with one hand and scribbles on the paper with the other hand. Well coordinated movements of the tongue, lips, and jaw muscles are essential for proper articulation and speech production, which in turn facilitates language development. On an average children at 6 can comfortably accomplish the tasks generally required for their day to day activities. Nevertheless, learning is continuous process; and children continue to learn new and refine the learnt fine motor skills throughout their growing years. Toys, games and puzzles help children improve the fine motor movements during early childhood. Activities like drawing, painting, clay molding and building blocks help further to practice and enhance fine motor skills. A small task given at home, like “match your shoes and keep them in place” helps in practical implementation of the newly acquired skill. Should medical evaluation be considered for motor development delays? At the age of 2 years, if a child fails to accomplish more than 2 fine motor skills, then seek medical consultation: The foundation of fine motor skills is laid down in first 2 years of life. If a child does not start walking by the age of 18 months neurologic evaluation should be considered: Motor skills development is compromised in children with brain injury. 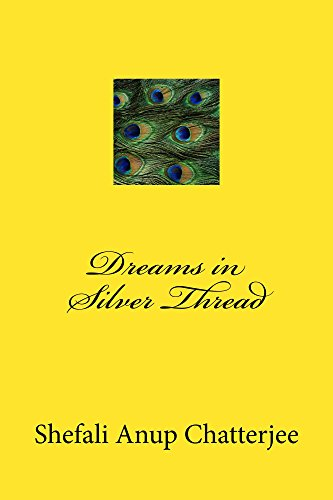 cerebral palsy and sensory systems compromise. School related learning difficulties demand timely medical intervention: Gross motor abilities support physical functions; often noted in children with Dyspraxia, poor gross and/or fine motor skills development.